Customers can avail from us a highly comprehensive range of high precision and perfectly engineered Gate Motors. The offered range has been developed by our expert engineers keeping the latest standards of the industry in mind. Basically the motor range has been perfectly designed to give a smooth work mechanism to the gates or doors in order to close and open easily. In this range we have motors for sliding gates and rolling shutters. 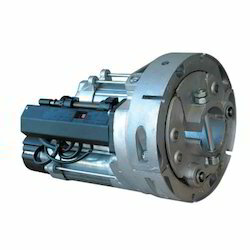 Most demanded and widely used, the offered range of these Rolling Shutter Motors has been made to offer convenience. We are manufacturing, supplying and providing the services for this motor range by adhering to the quality standards of the industry. Highly useful in shutters of shops, outlets and stores, these shutter motors are operated electrically and constructed in a standard manner that ensures its durability.